Make sure your goals are attainable so you don’t get discouraged. 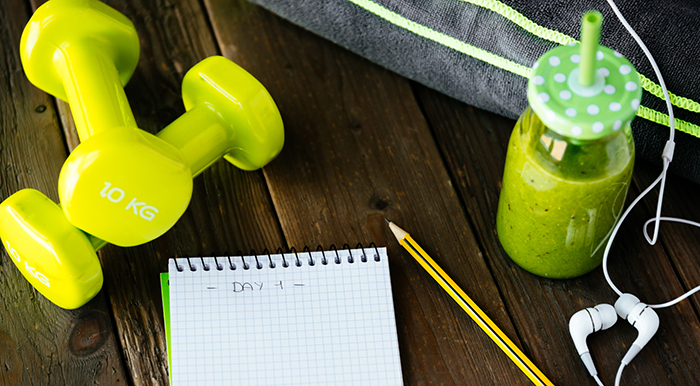 When starting a fitness and nutrition program, it is usually done with an objective in mind. Whether you are trying to lose weight or to wanting to train for a marathon, making real lifestyle changes requires careful planning. If you have been working out and eating better, but still have not seen the results you desire, it could be because your goals are too broad. Here are smart tips for setting SMART (Specific, Measurable, Attainable, Relevant and Time-bound) goals for nutrition and fitness. Specific: Instead of saying, “I want to be fitter, or I want to eat healthier,” it is better to be specific so that your goal is tangible and easy to understand. Define your goal, and write it down. Ask yourself why you want this outcome, how you will achieve this outcome. Measurable: Now that you have defined your goal, it is time to refine your goal. If you have decided to lose weight through eating better and exercise, or to run a faster 5k, now is the time to decide exactly how much weight, or how many inches, or your finish time goal. This way you have a starting point, and will be able to measure your final target in numbers. Attainable: If you just starting running and want to run a marathon, or need to lose 100 pounds, your goals can seem a lofty or cumbersome. It is better to make mini attainable goals as stepping stones to your primary goal. Train for a 5K, then you can work to increase your fitness and miles, or set an initial 20 lb goal, all as parts of a larger, future target. It boosts moral when you achieve smaller goals through your journey. Relevant: Make sure your goals are relevant to your current lifestyle. Be certain your goals are something you truly want, and not inspired by someone else’s goading. It’s hard to stay motivated if your heart is not in it. Time-bound: Set a time limit. Both short term and long term goals should have a date that you aim to achieve them. Knowing that you have a deadline can prompt you to get started and stay on track. It also helps to keep these written down on a calendar that you can see daily. Be kind and forgiving with yourself. Some days will be easier than others. 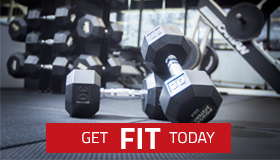 The trainers at The Fitness Studio vow work with you to formulate a personal strategy. We can help you to set your SMART goals to ensure your success. We pledge to keep you accountable while positively encouraging you through your journey.